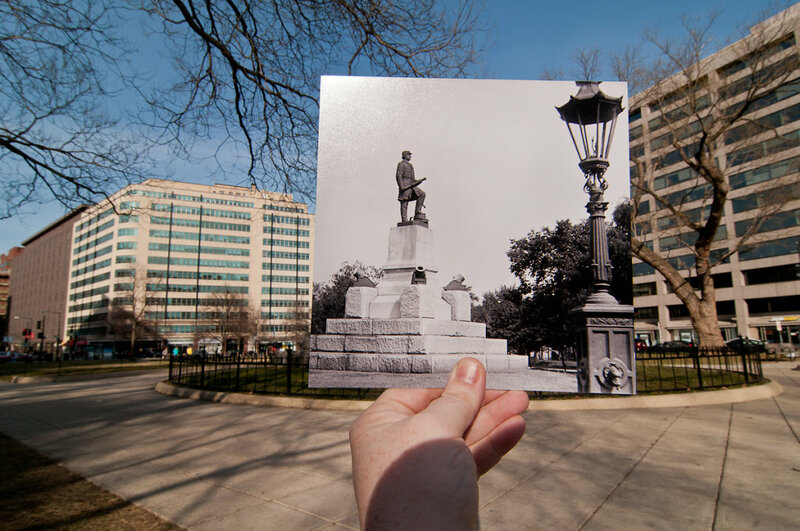 This project began in the spring of 2009, and is by far the most popular thing I've ever done. 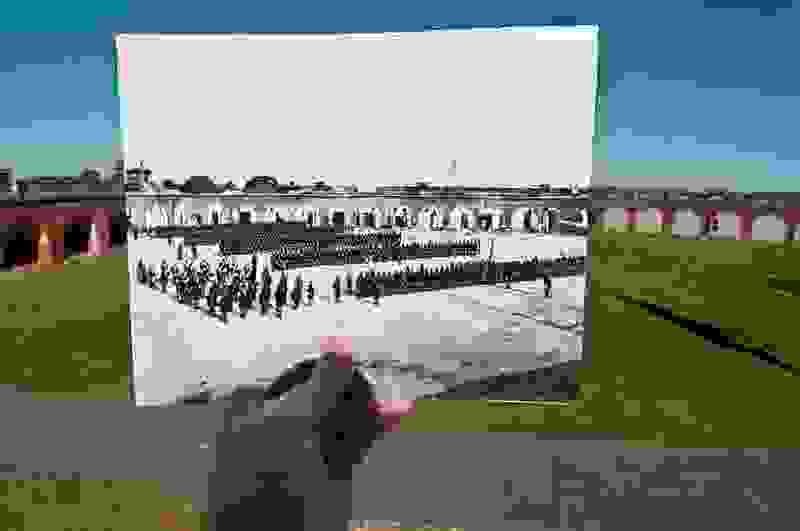 Hopefully you'll like it too. 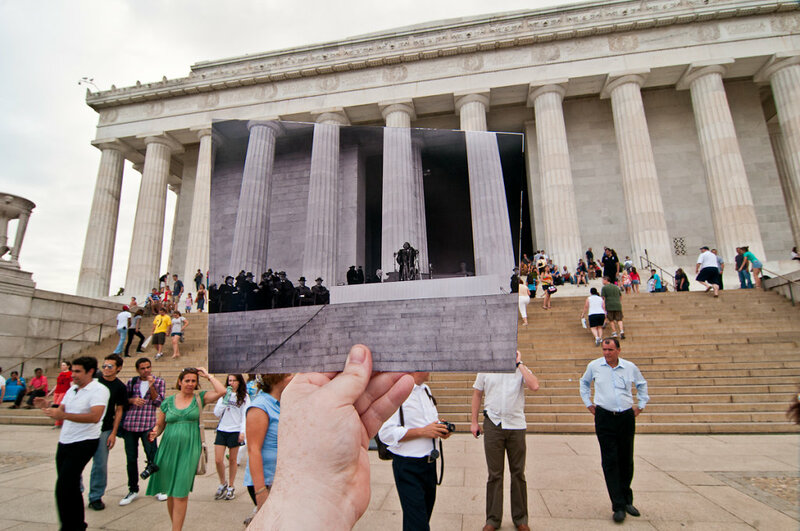 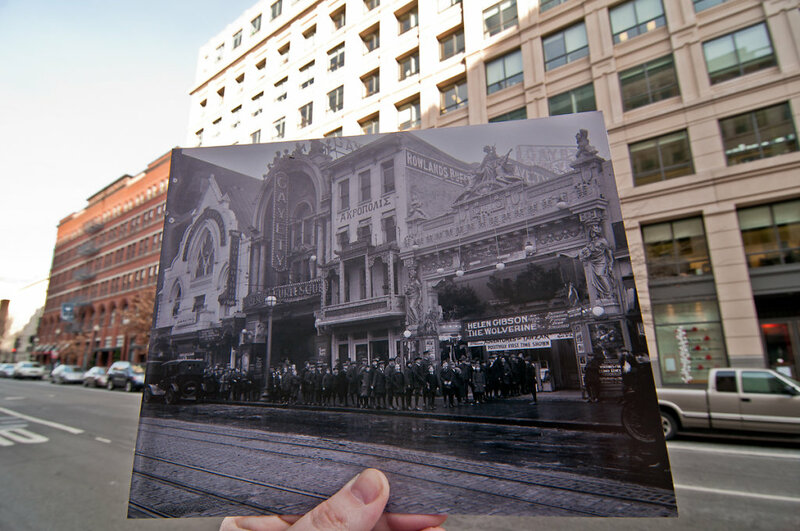 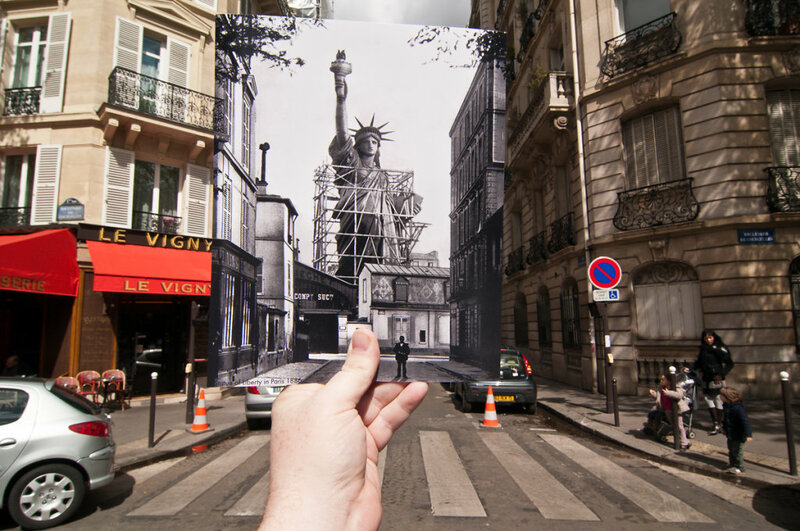 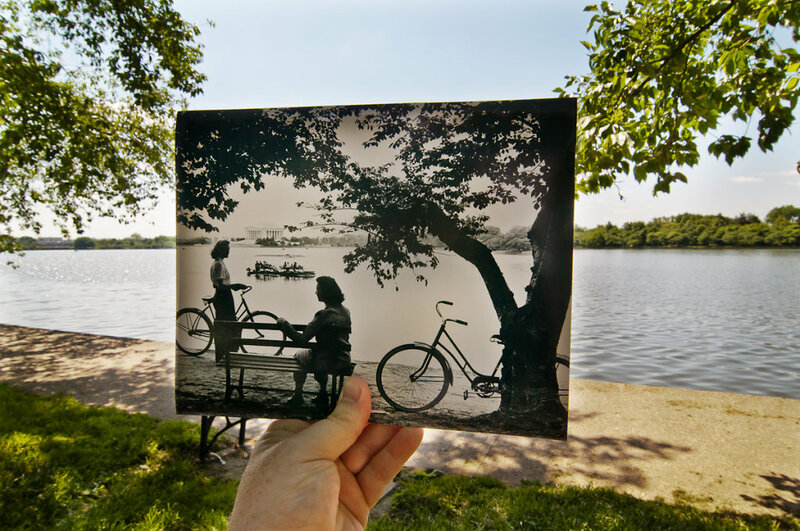 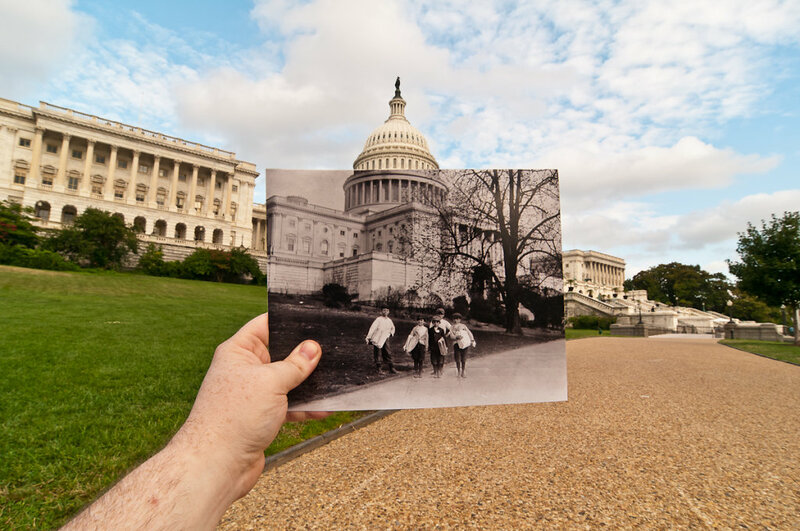 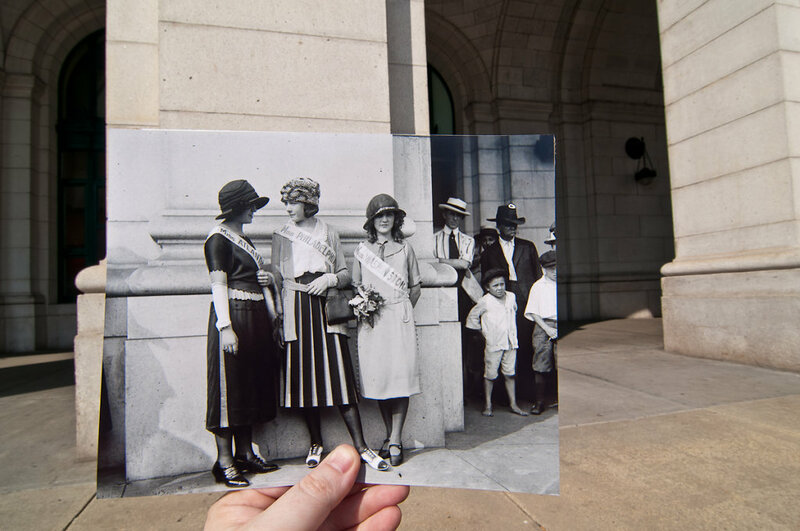 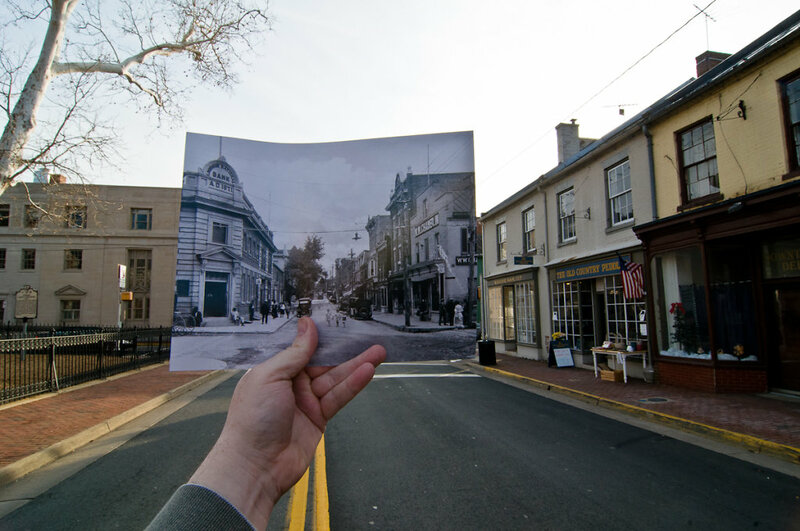 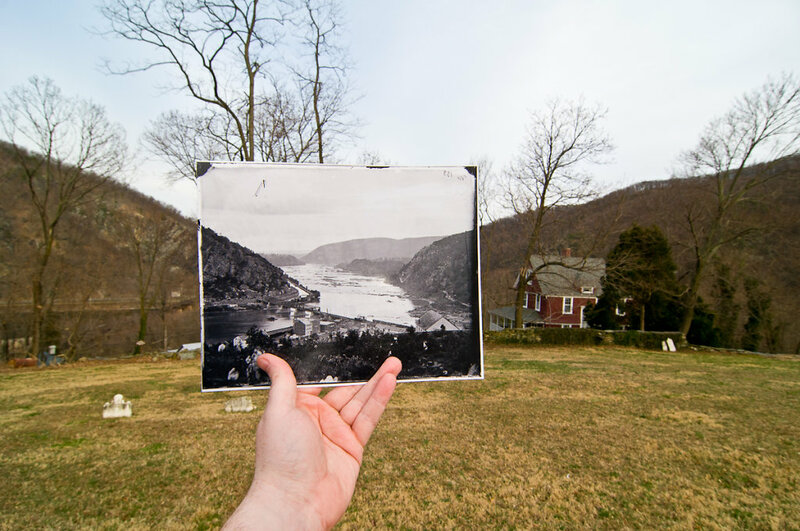 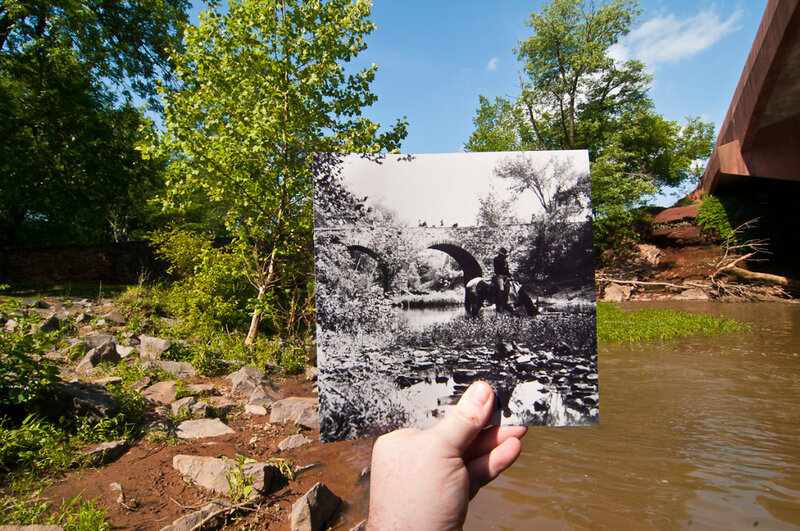 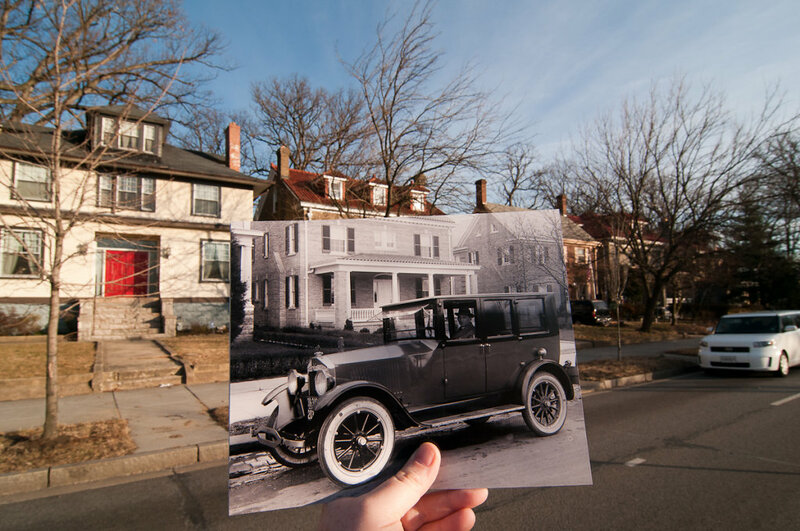 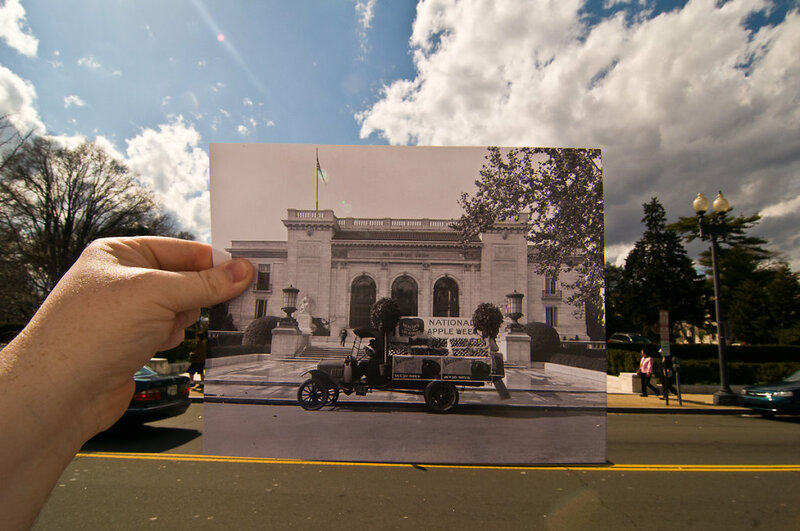 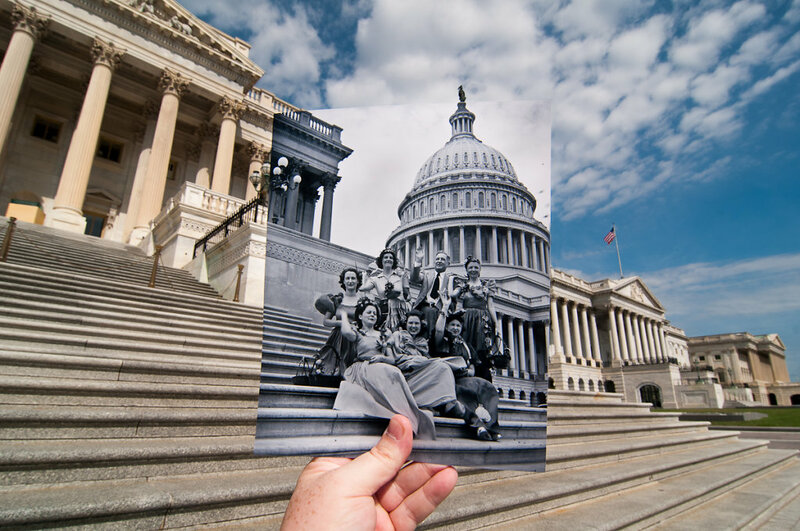 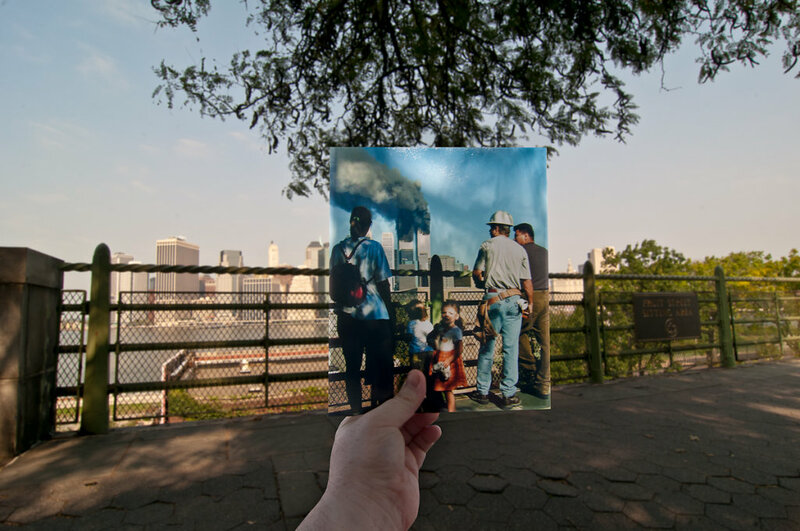 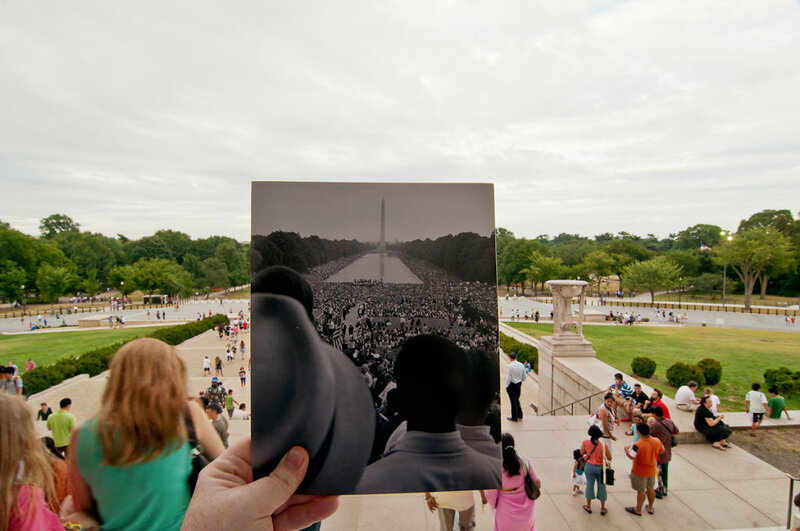 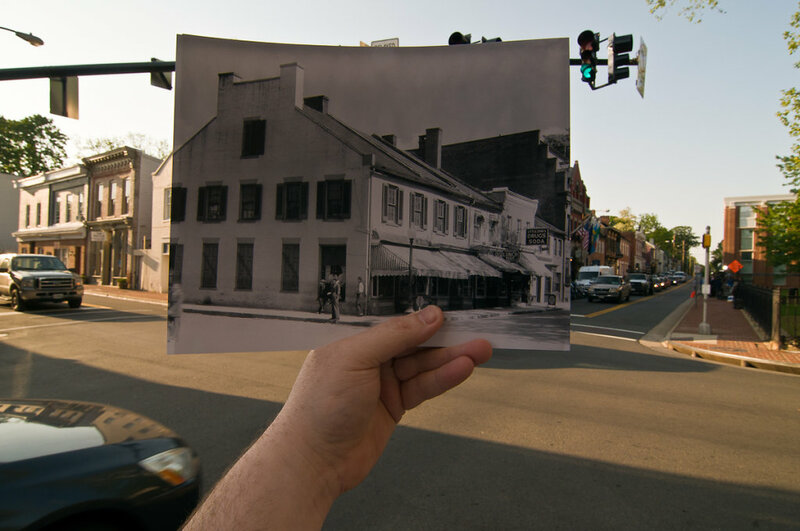 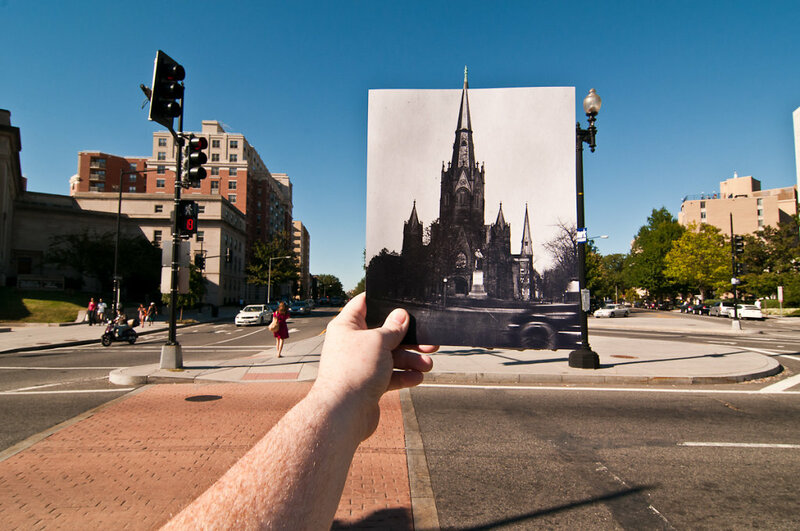 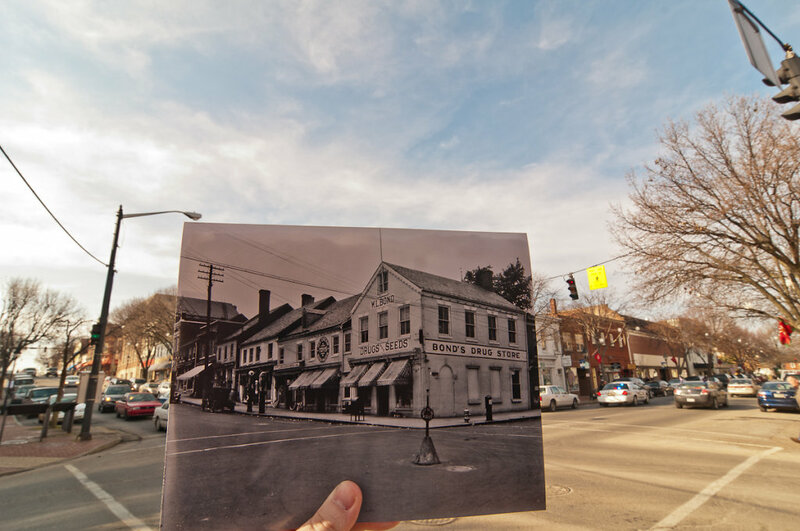 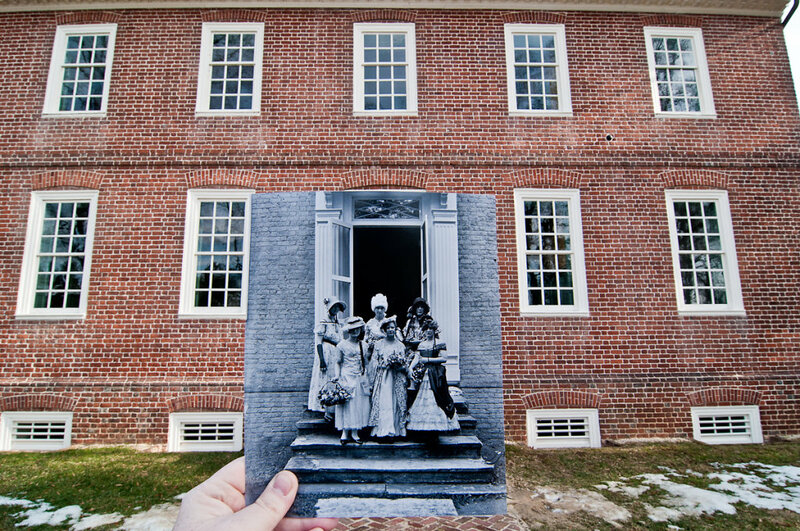 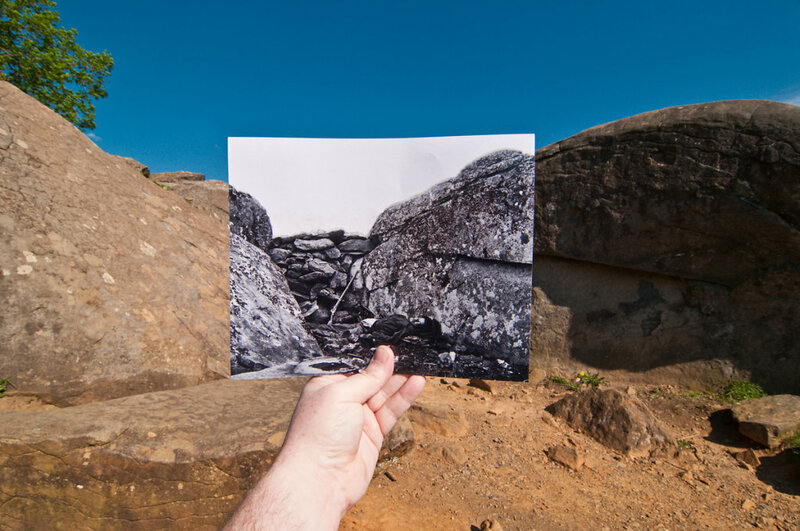 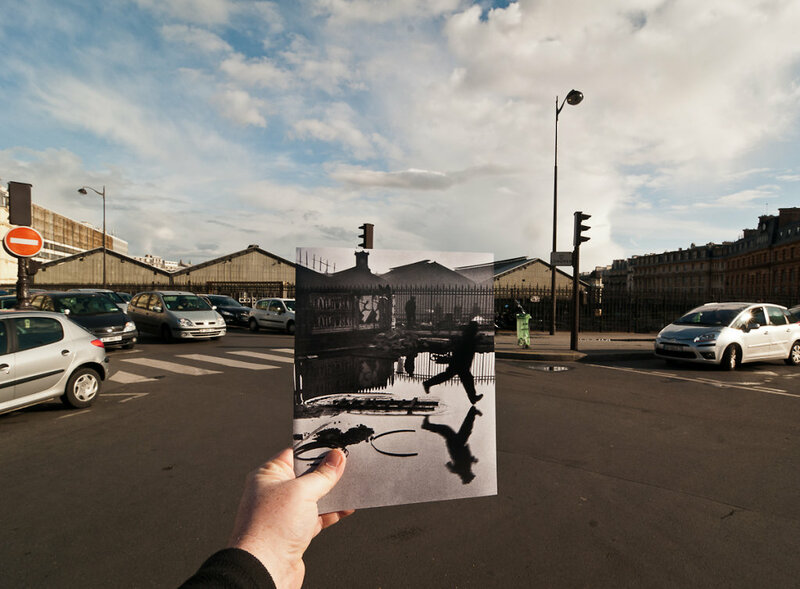 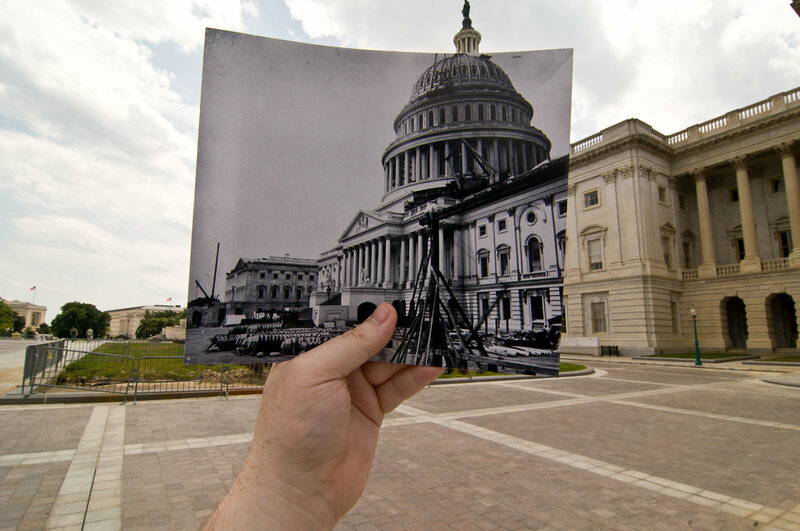 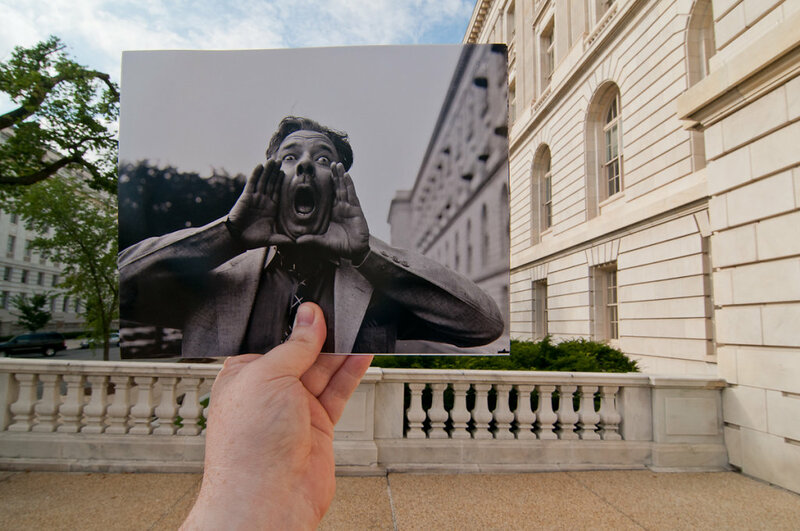 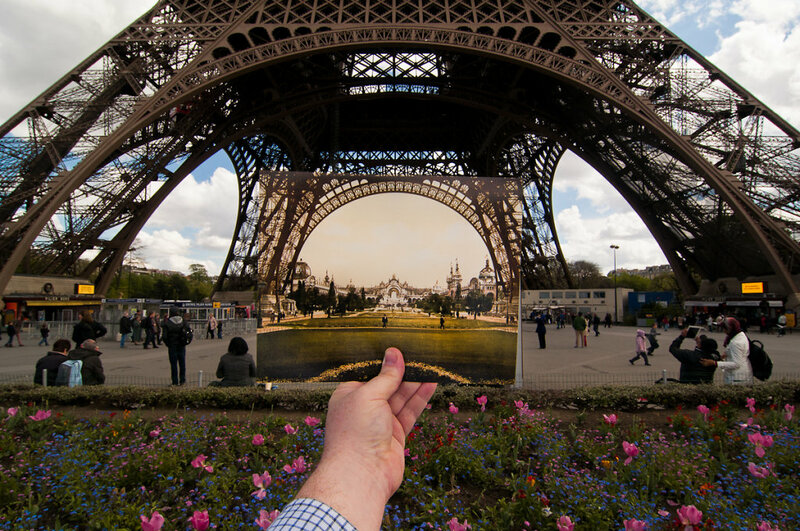 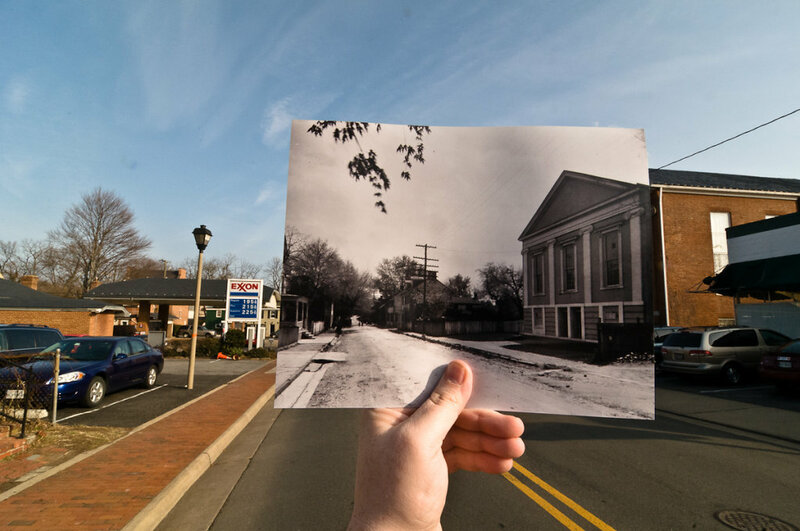 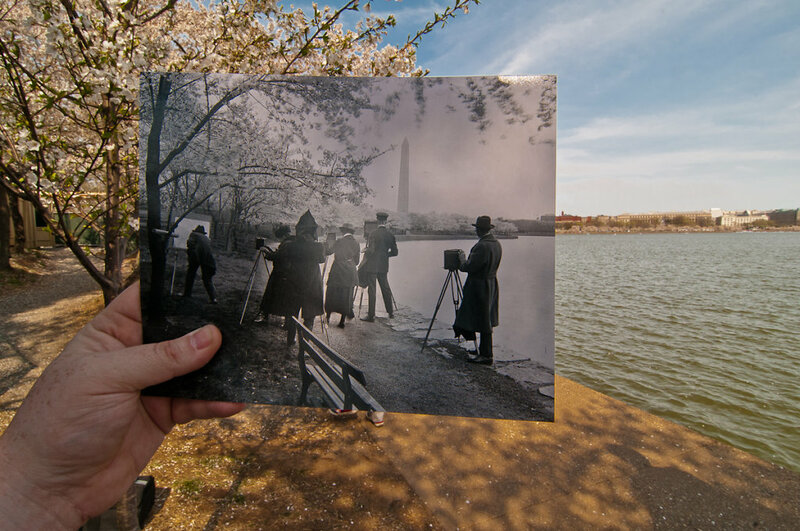 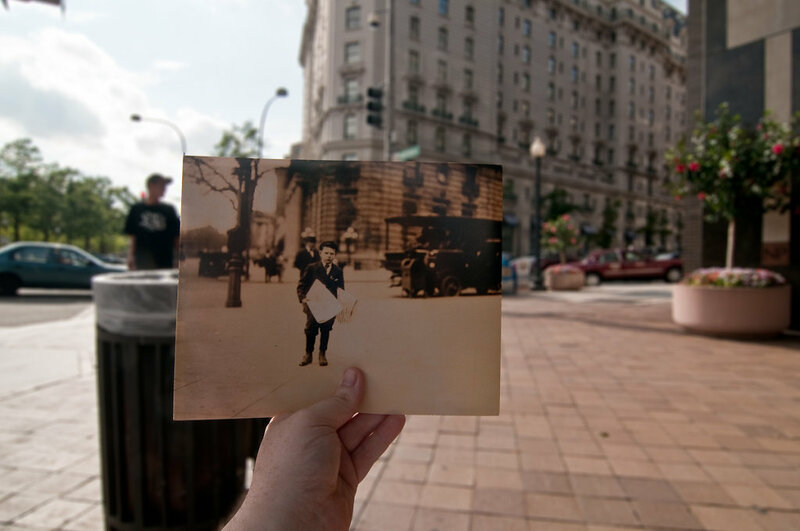 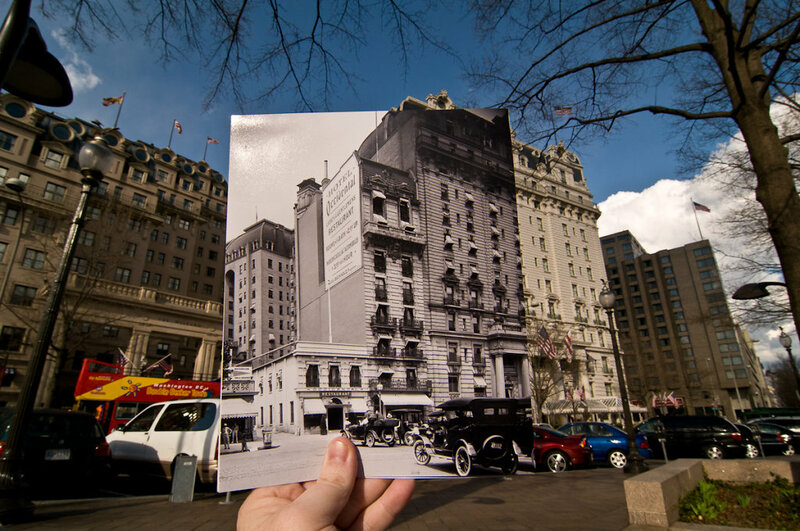 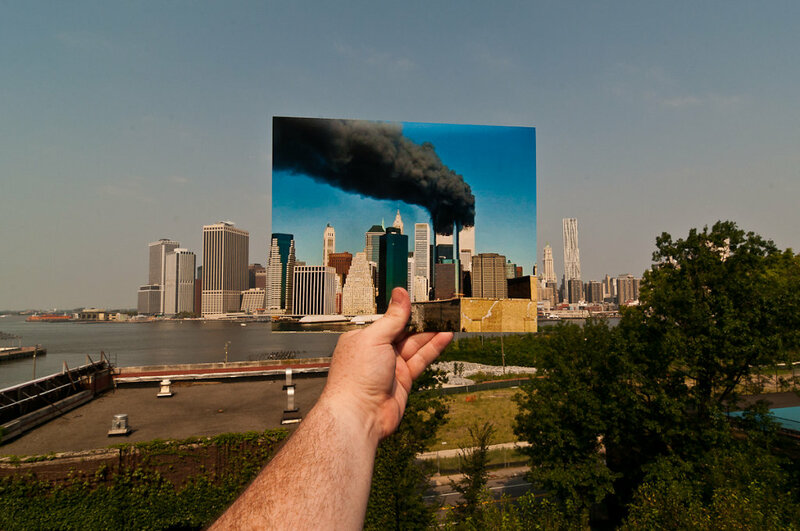 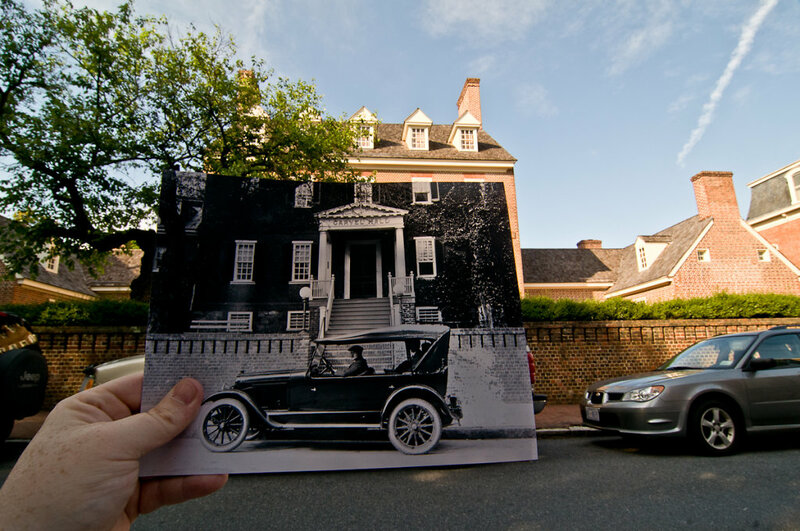 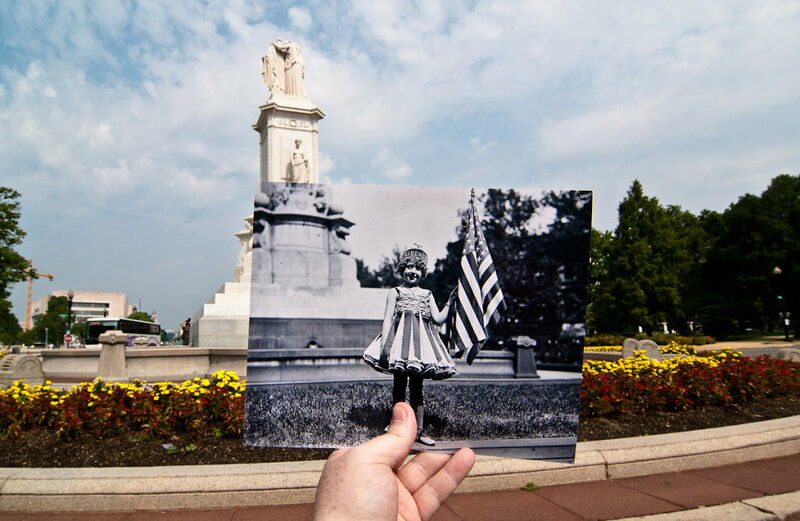 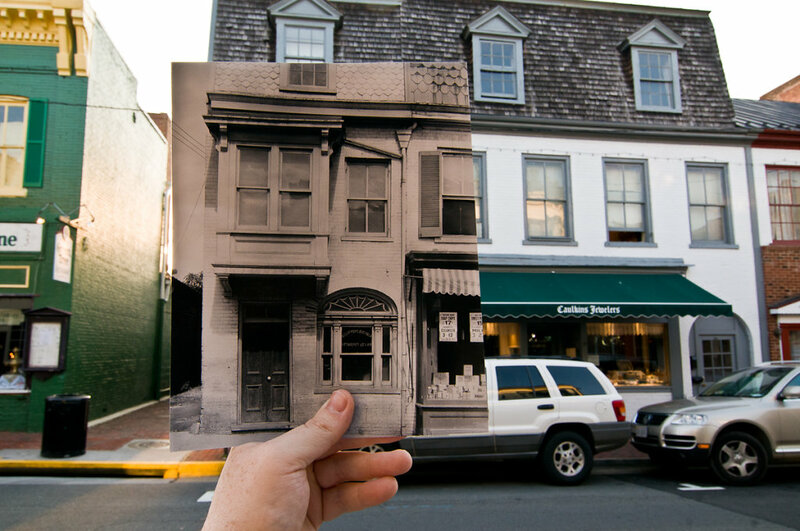 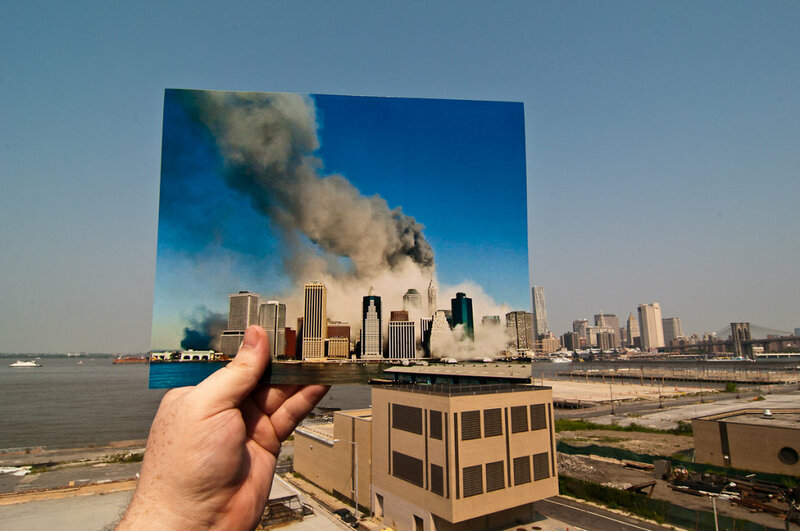 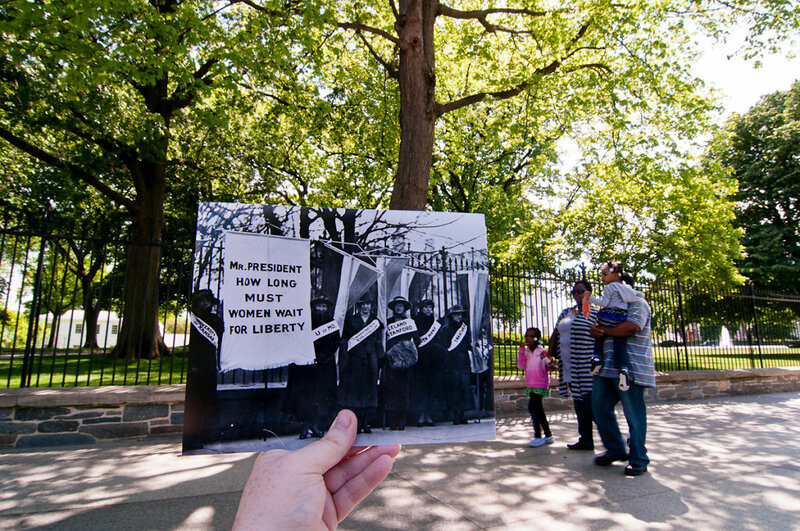 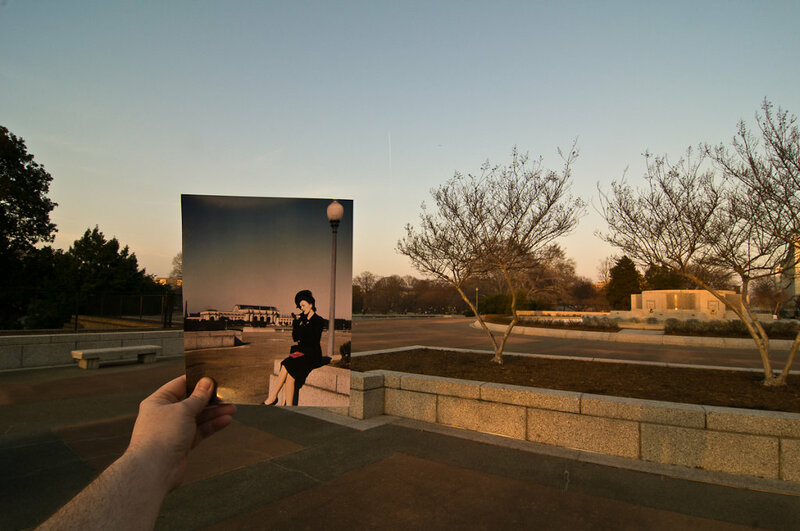 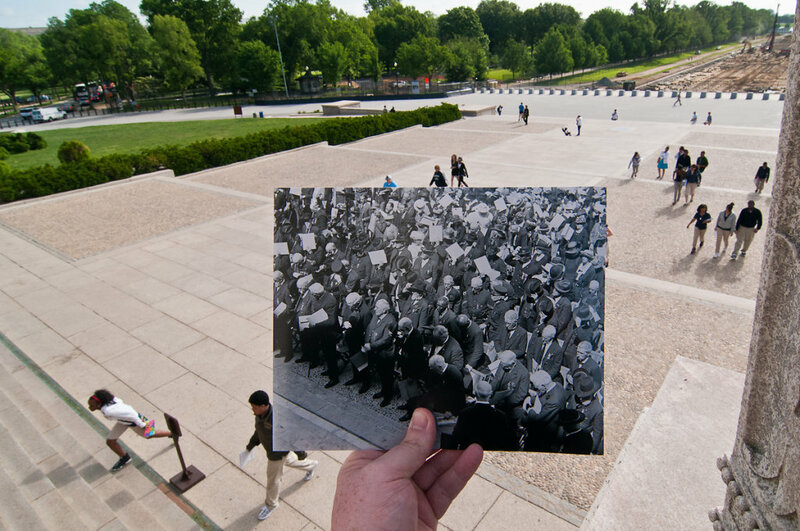 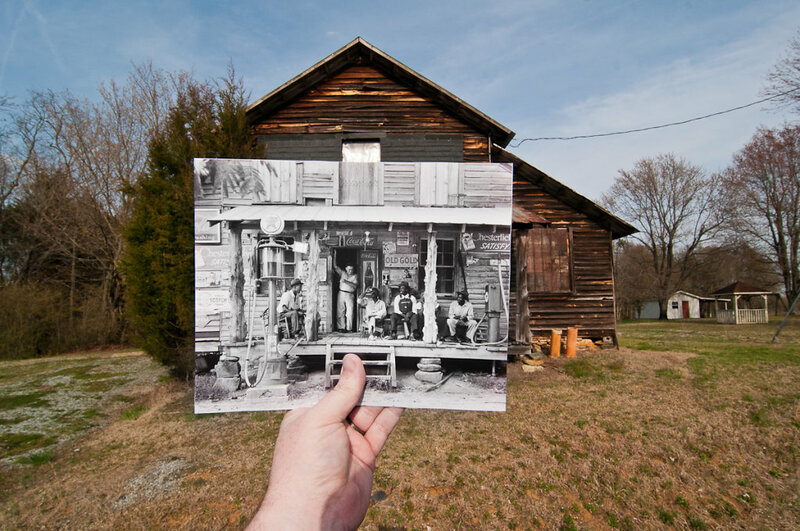 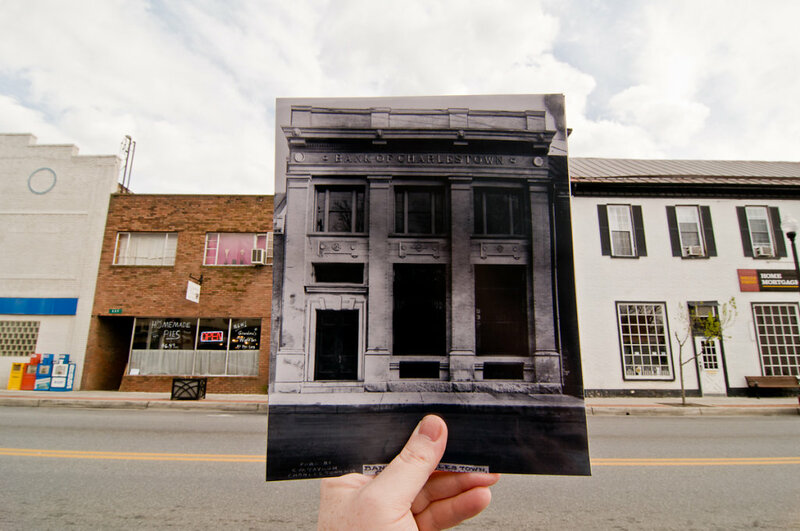 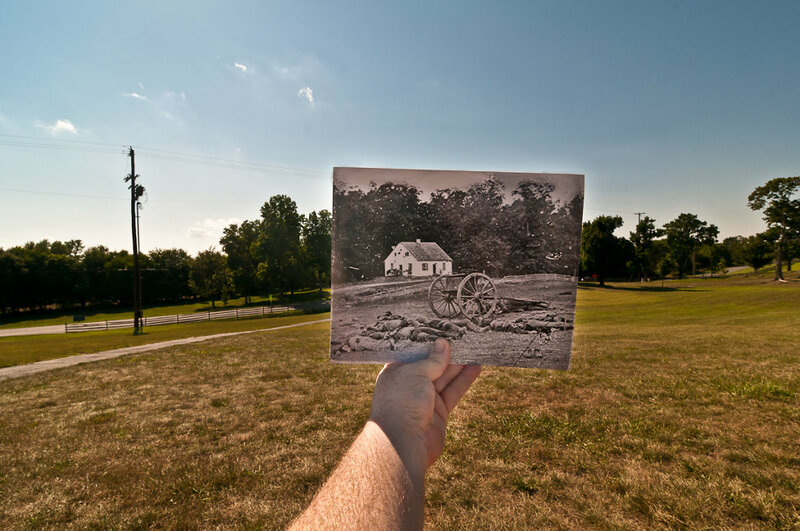 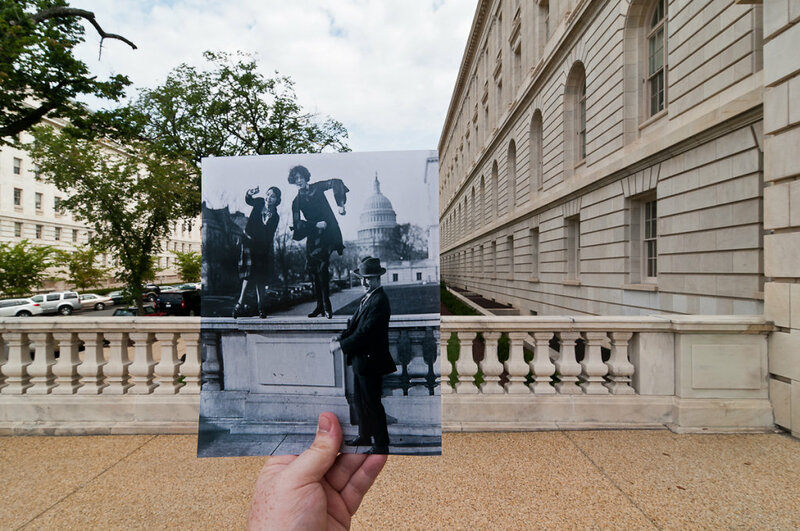 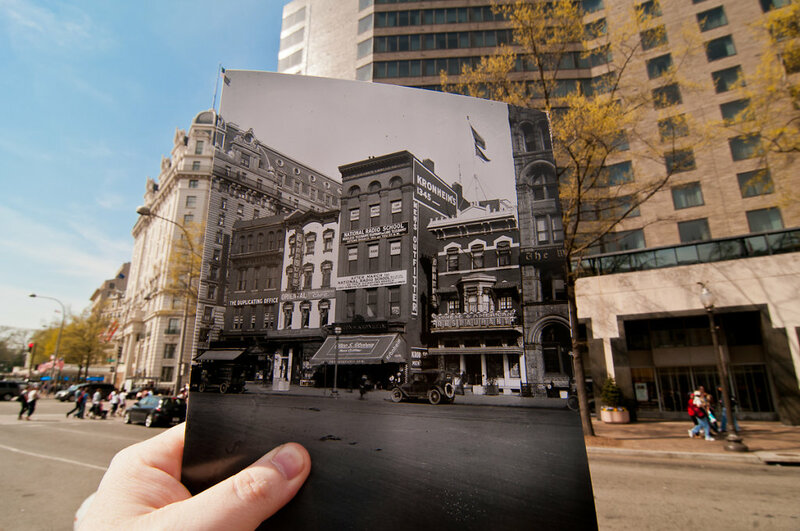 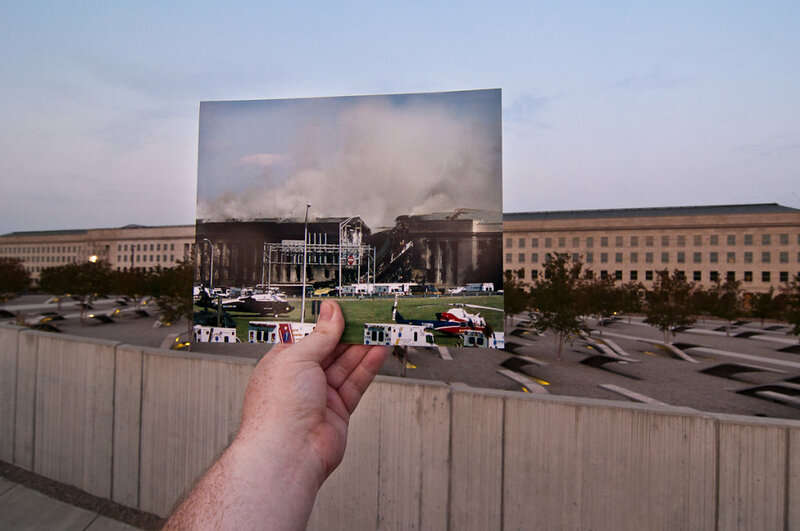 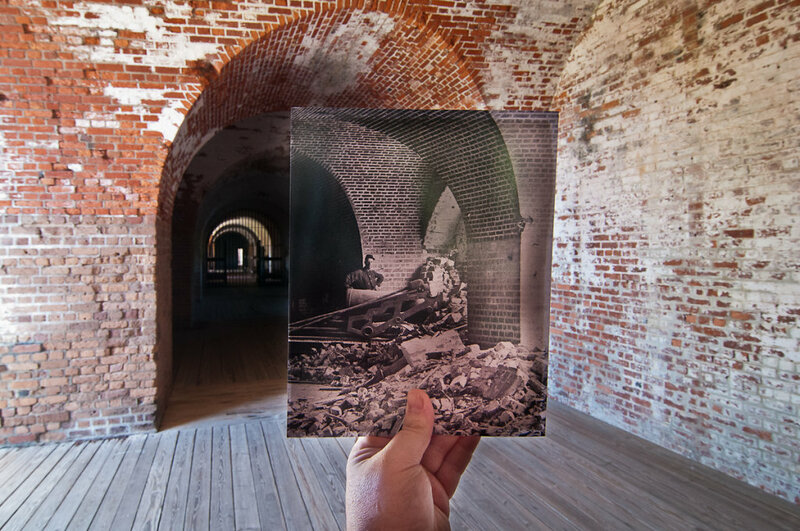 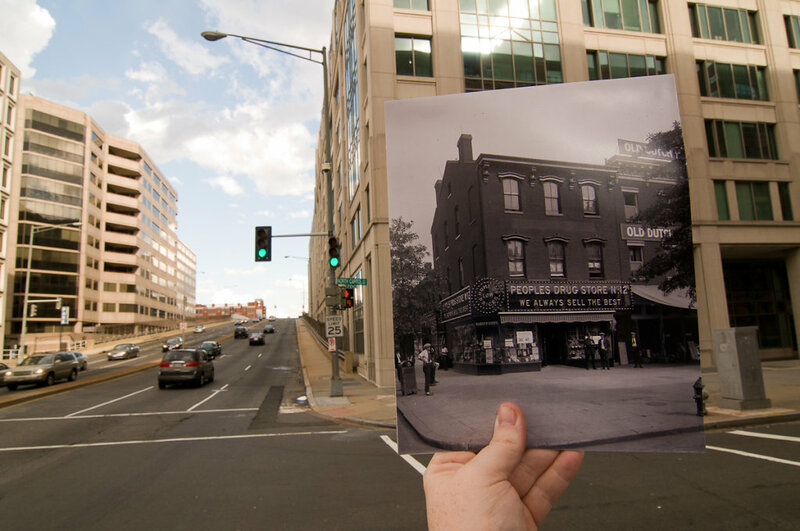 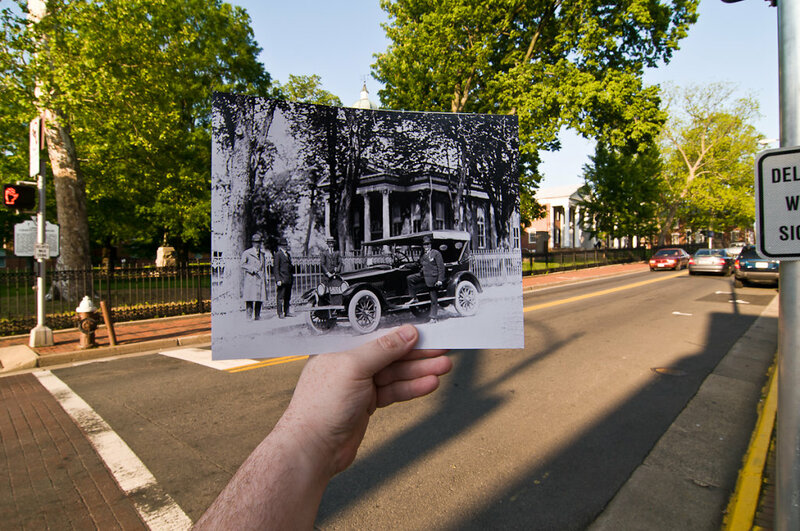 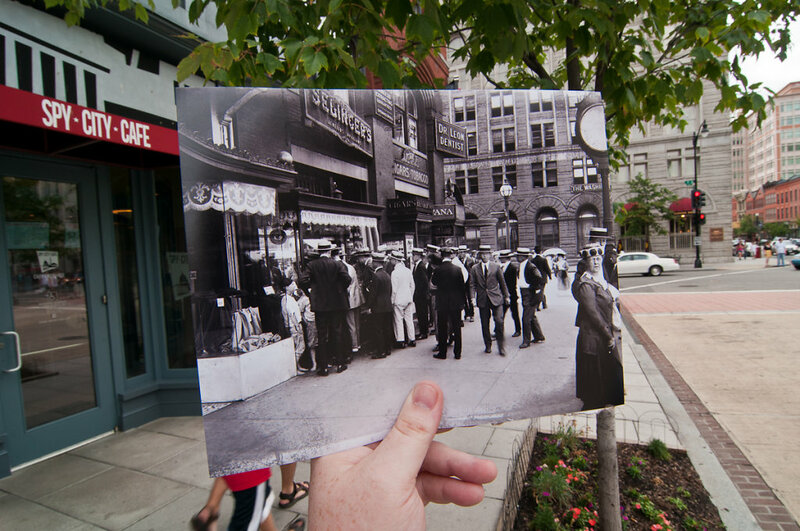 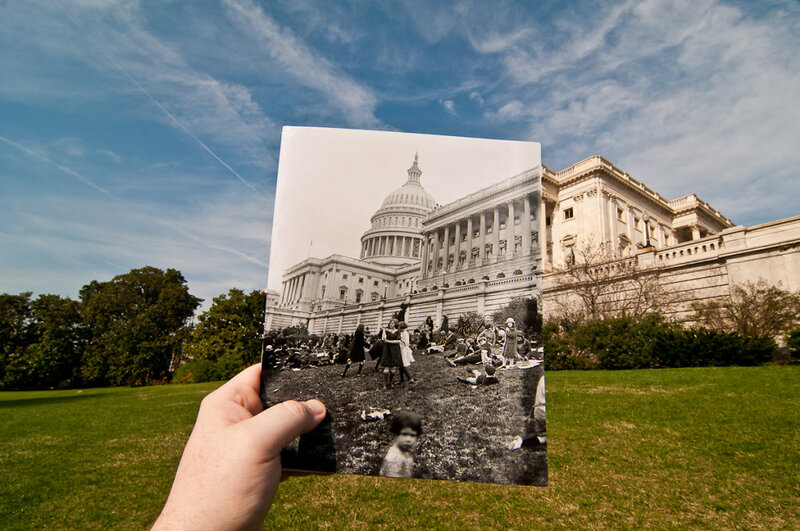 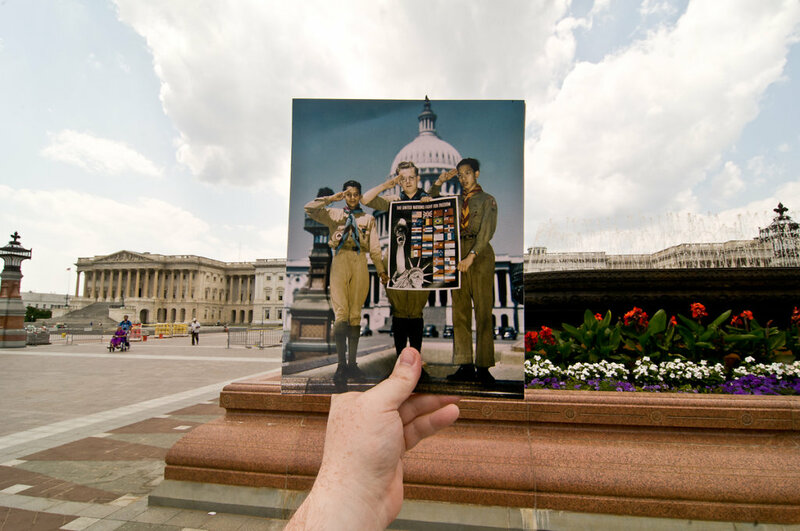 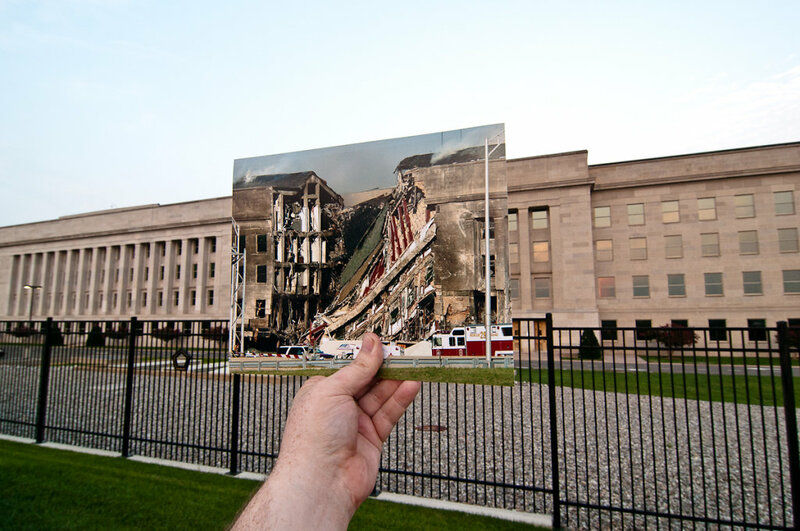 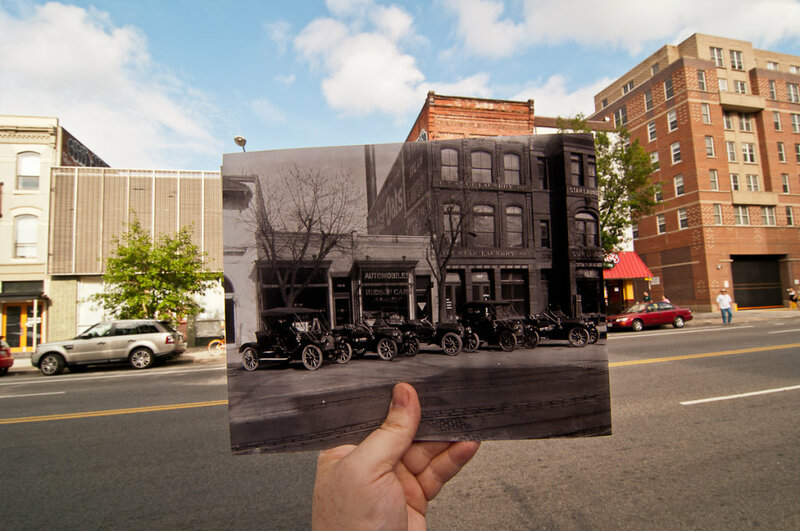 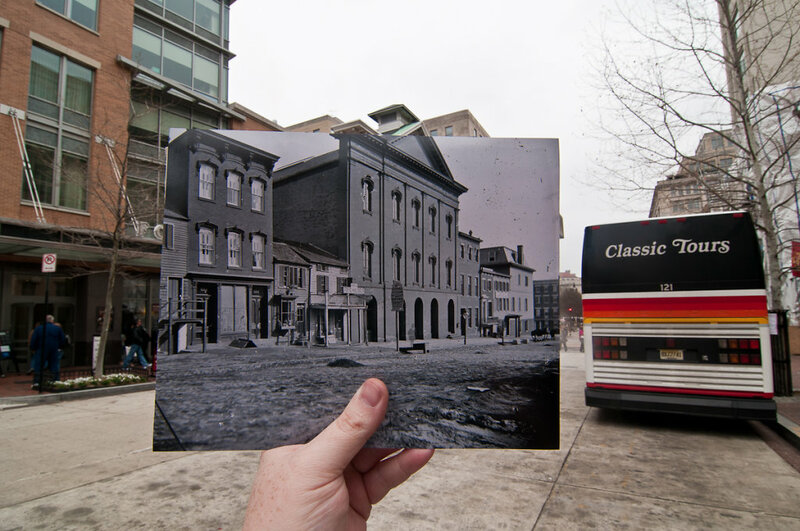 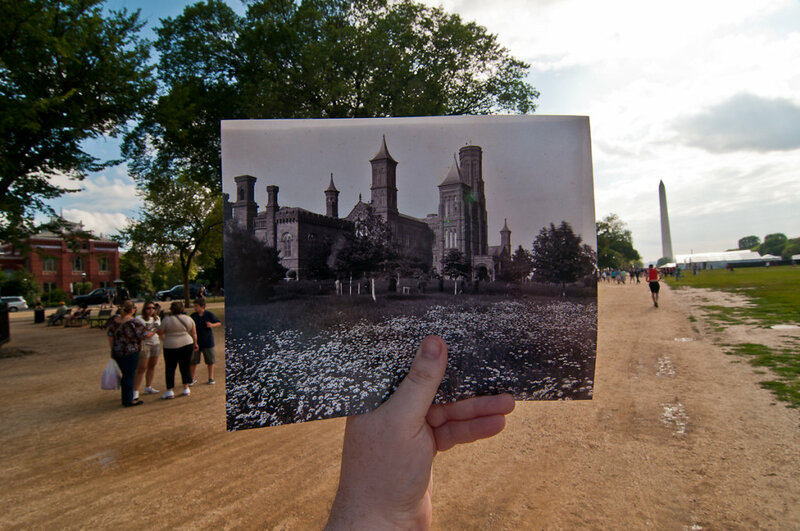 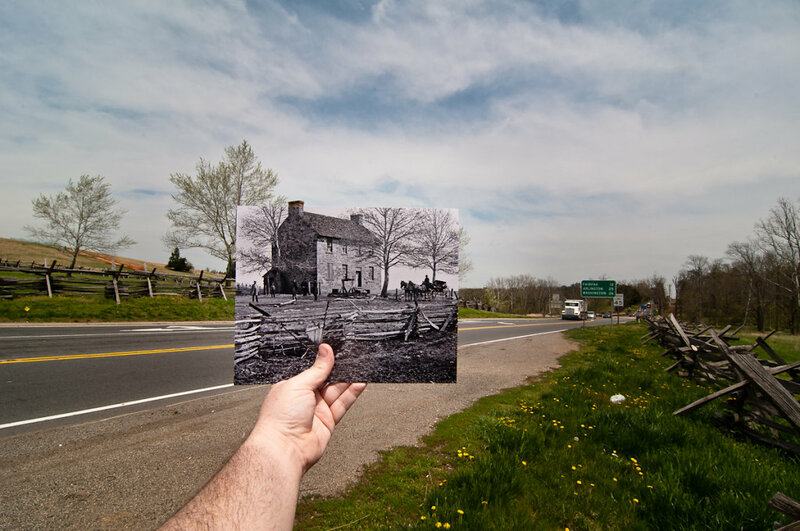 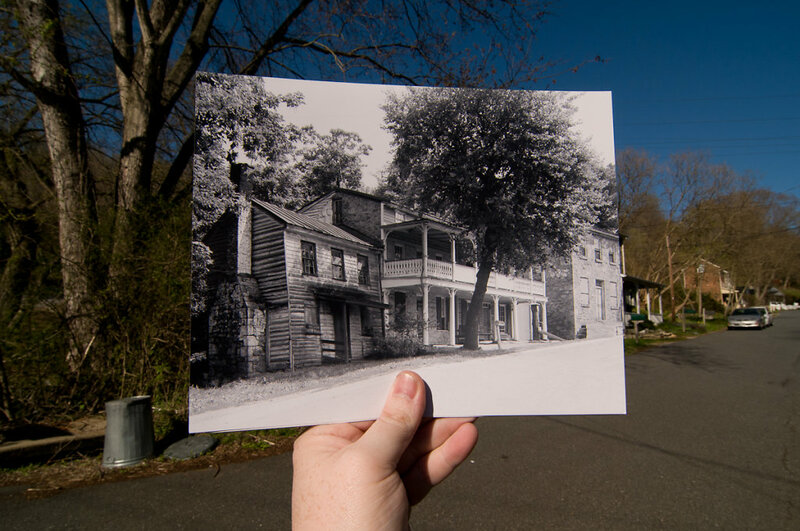 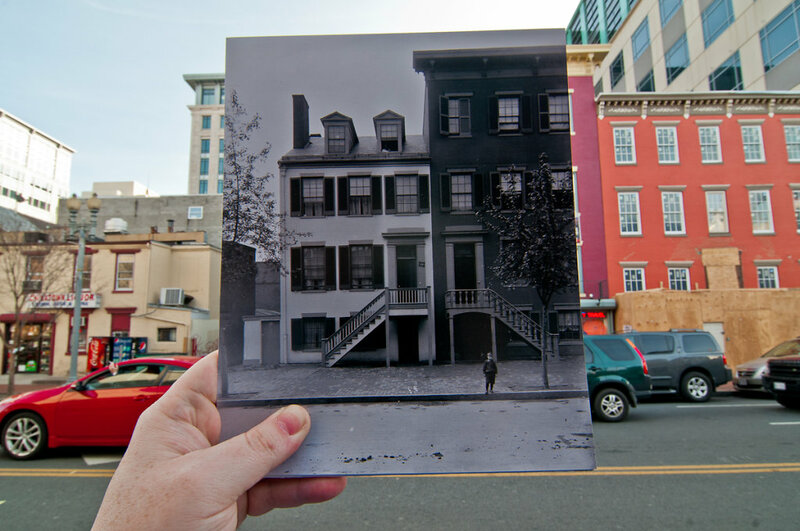 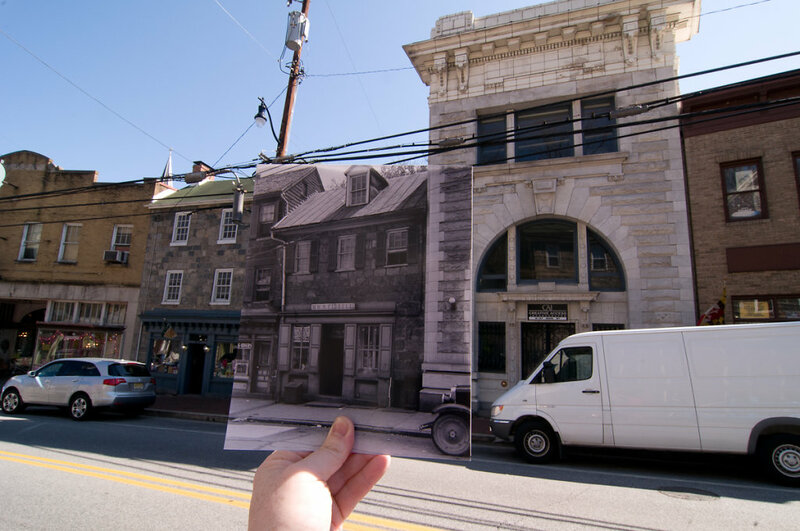 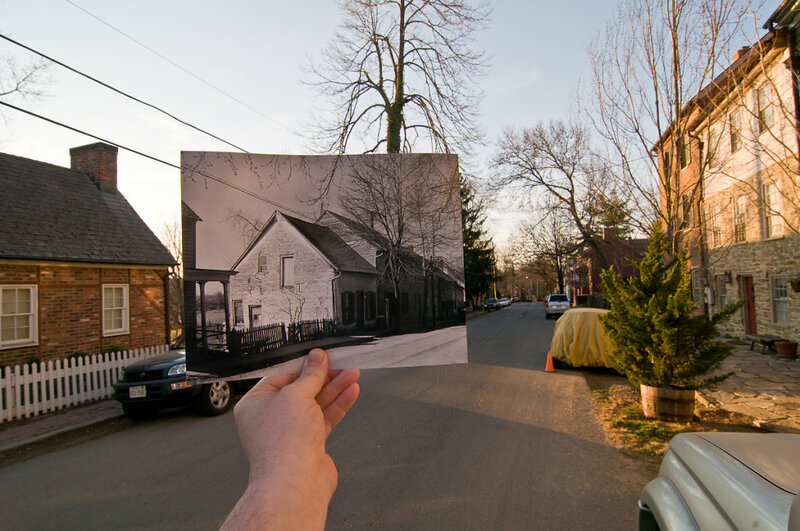 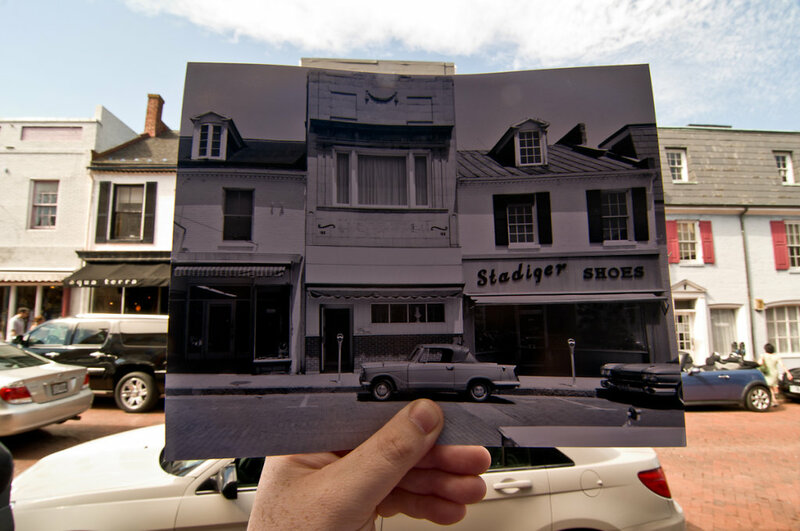 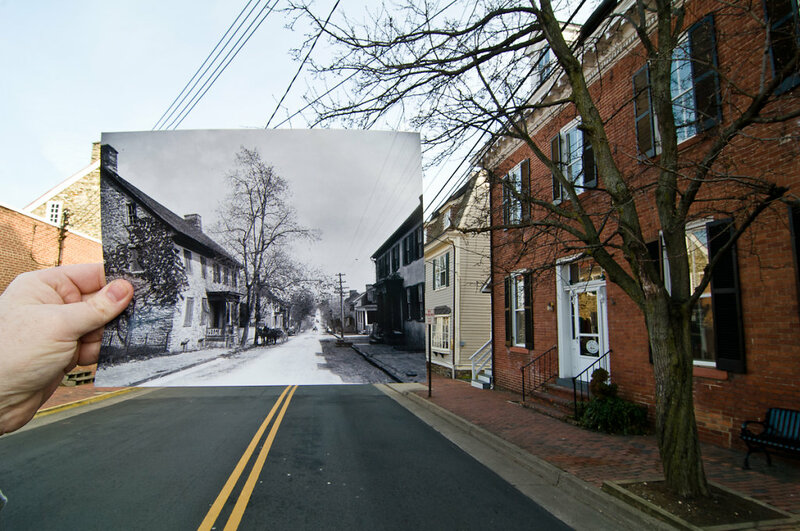 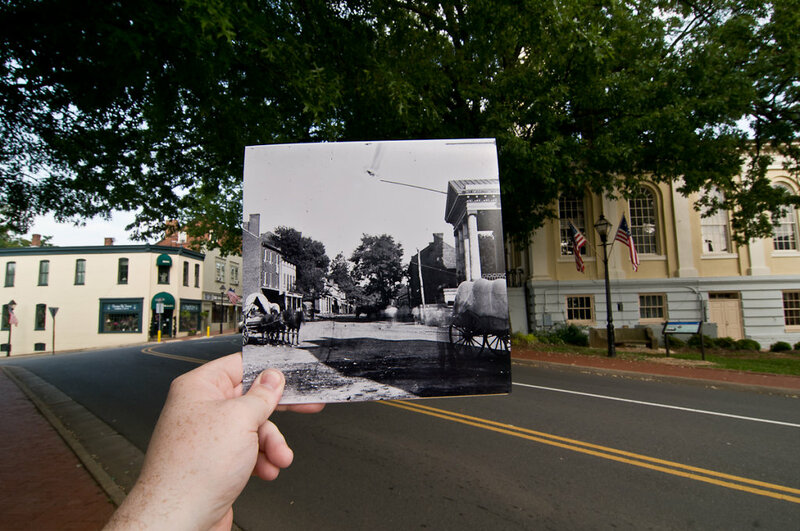 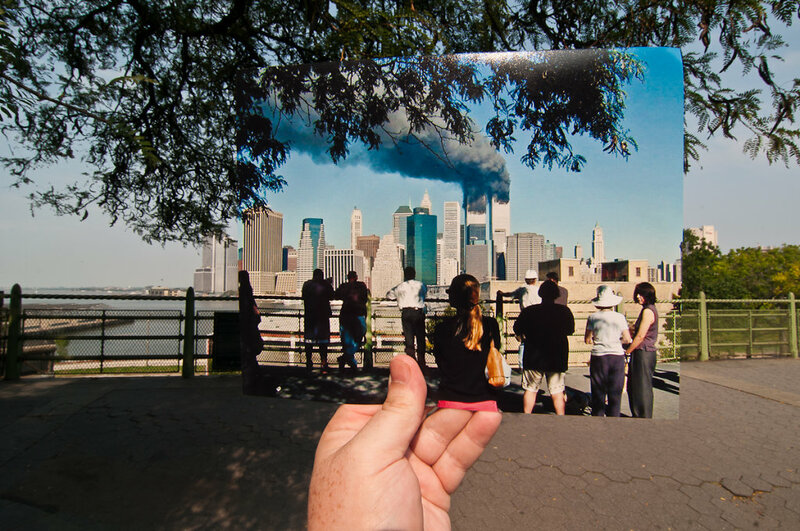 Images are made by finding old photographs of places, printing them out, and then holding the print up in the modern day location that the original photograph was taken. 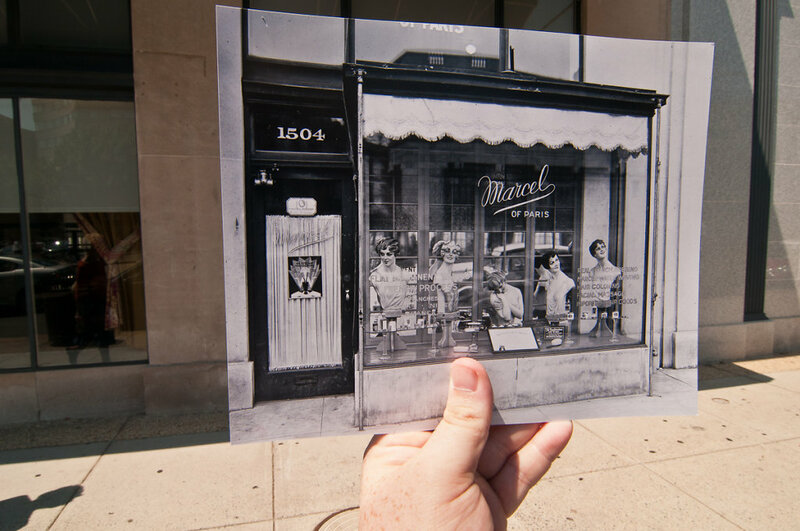 Marcel of Paris, Connecticut Avenue, Washington, D.C.